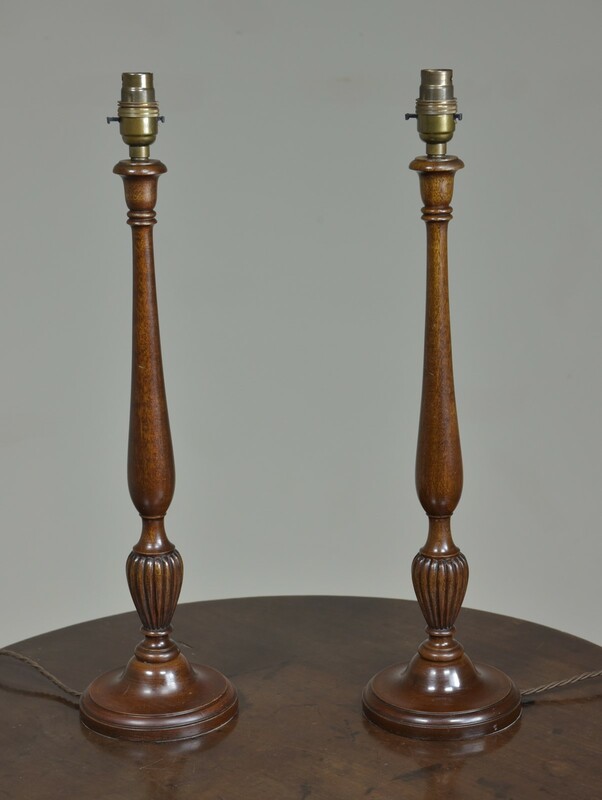 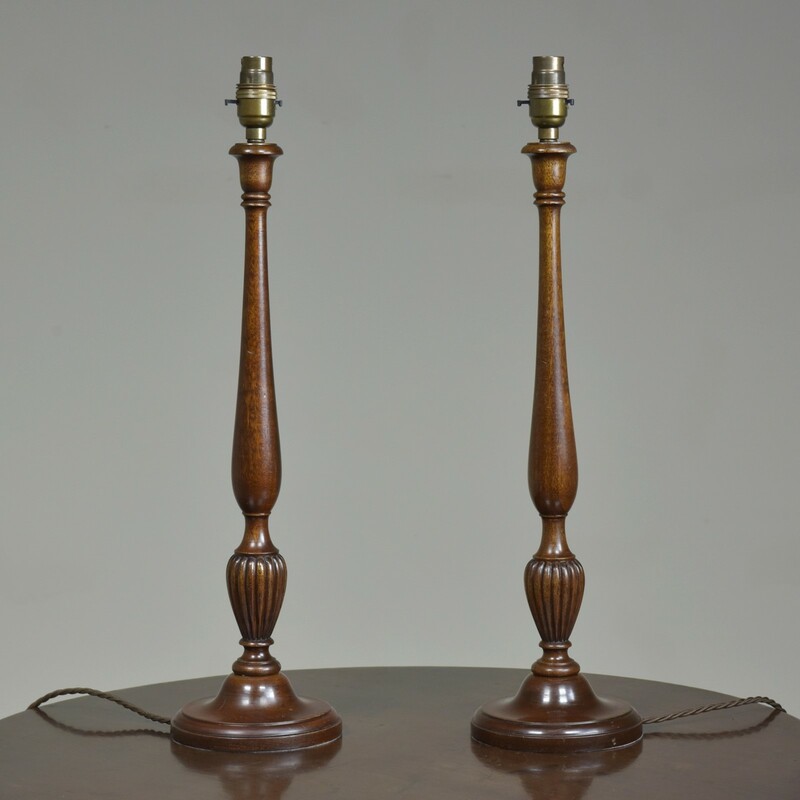 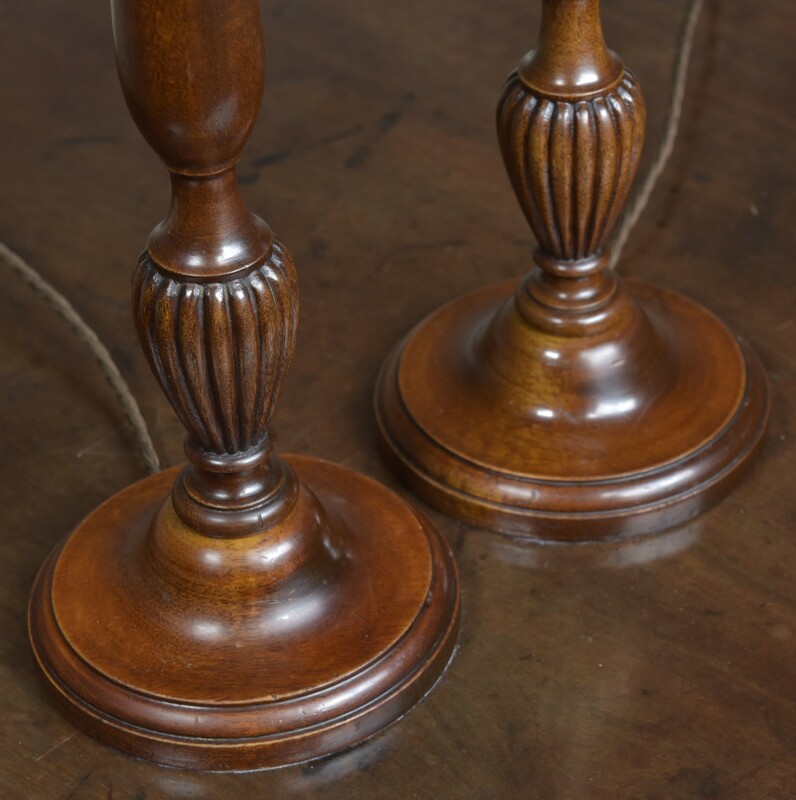 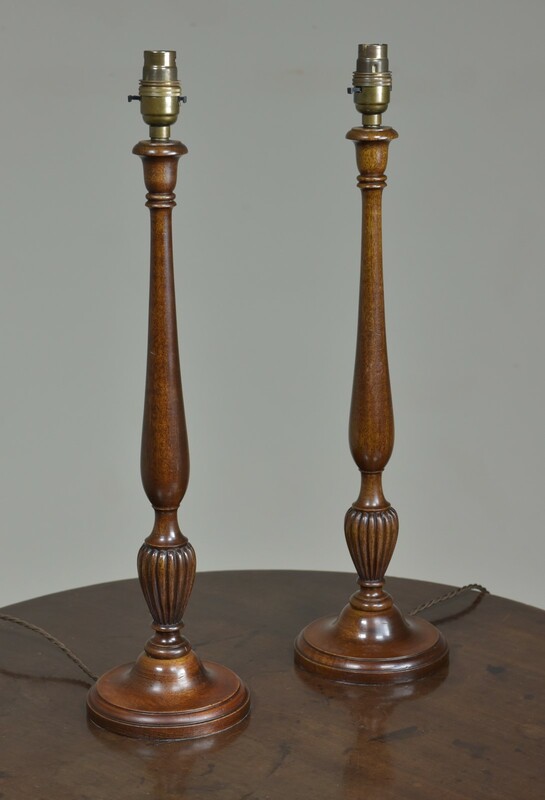 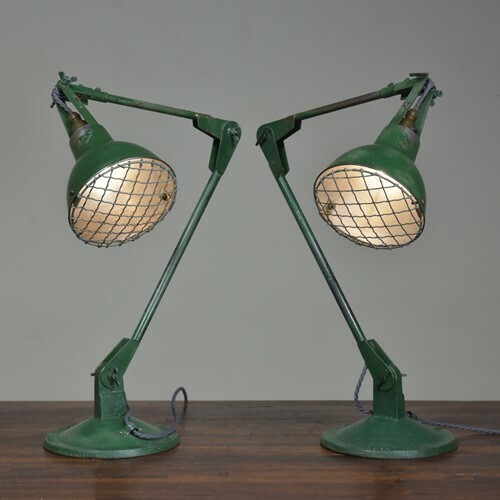 An antique Edwardian pair of elegantly turned mahogany table lamps. 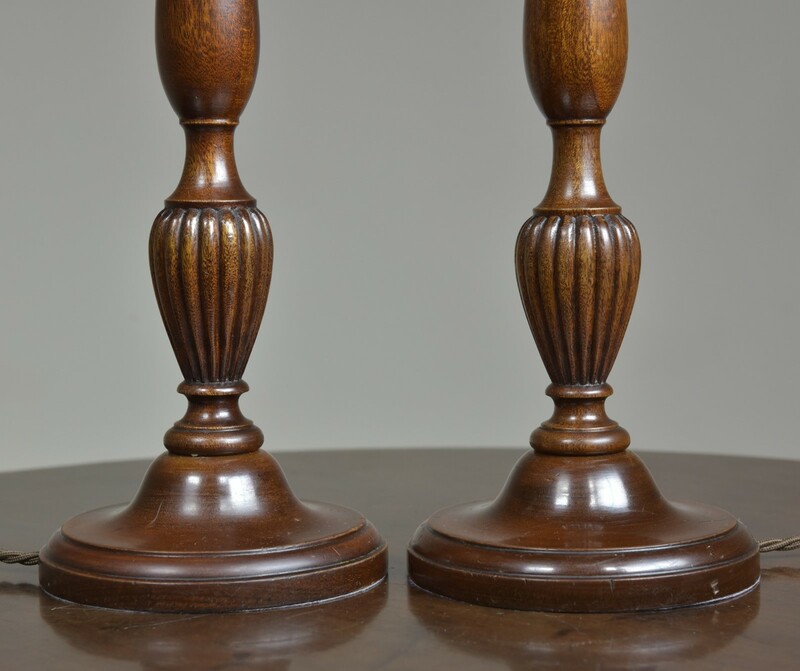 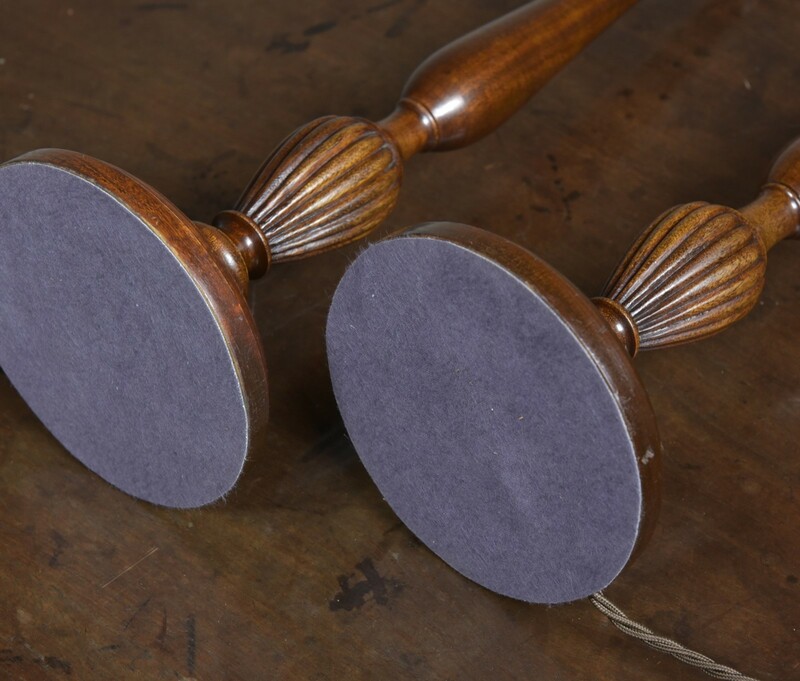 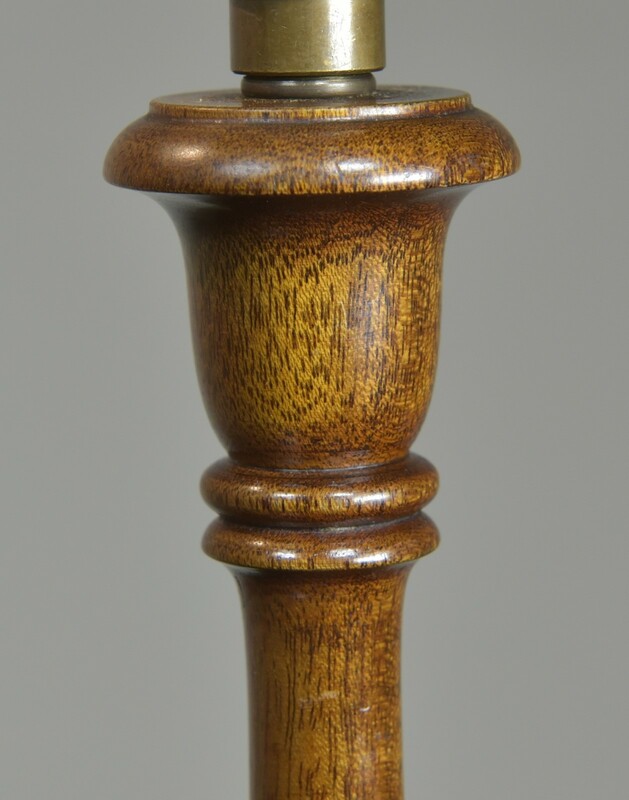 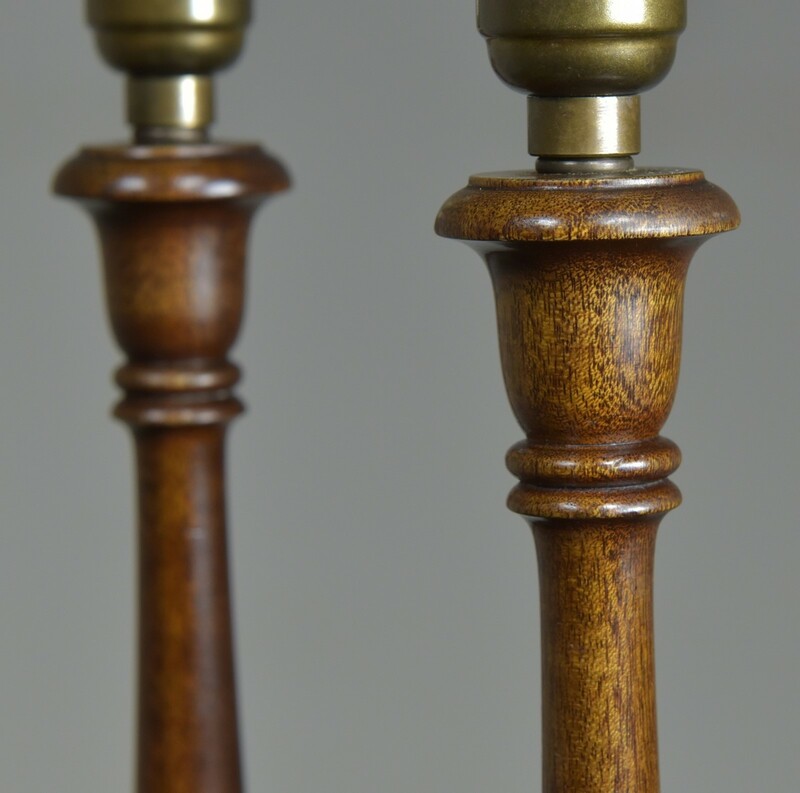 In perfect condition with original finish and weighted bases. 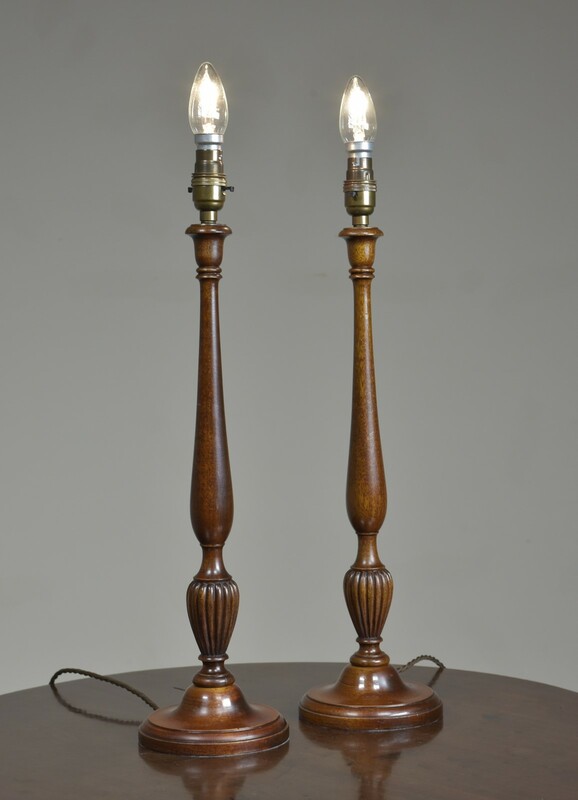 English c1905. 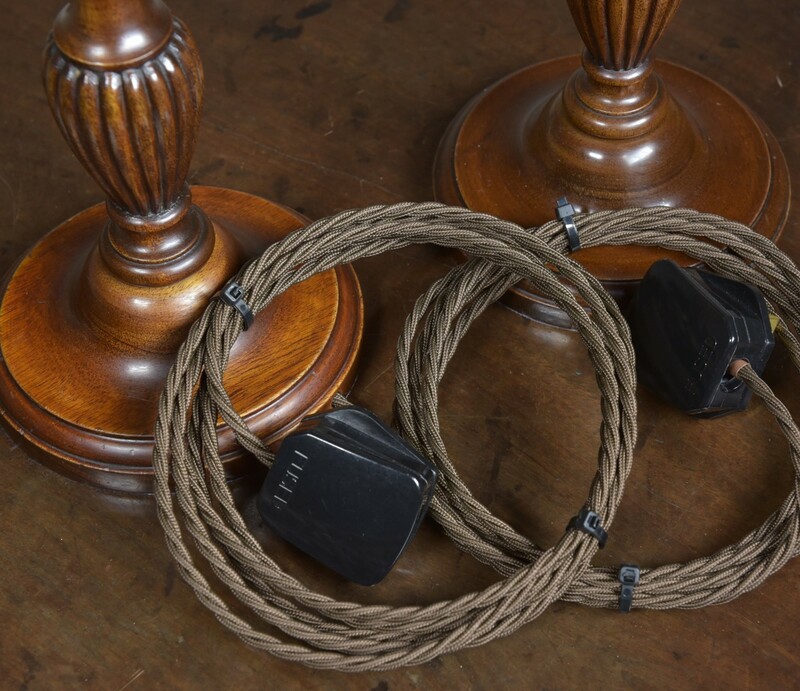 They have been rewired with antiqued brass switched lampholders (British made), 2.5meters (exposed) dark brown fabric flex, hard plastic "traditional" plugs and new quality fabric base.